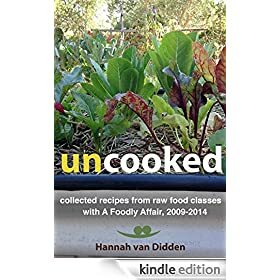 I have been researching and experimenting with food ideas for my ‘Christmas Uncooked’ class in Perth on 14 December. After spotting a particular choc-coated coconut bar on a recent shopping expedition, I thought to myself, “I could make those raw.” So I did. Now I have to be honest with you. 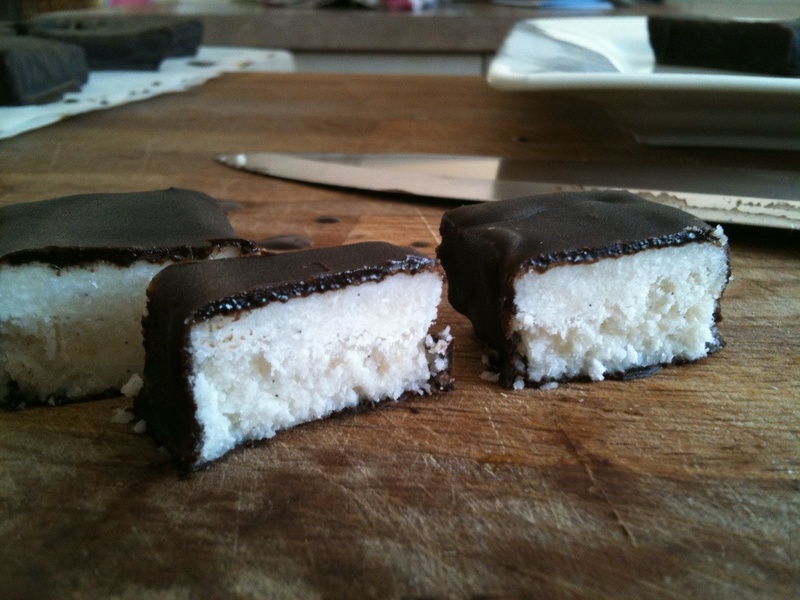 I have not ever eaten a full Bounty Bar simply because I wasn’t a huge fan of coconut as a child. It has also been years — maybe 20, maybe more — since my last incomplete bar. When you add all of that to the fact that my pregnant tastebuds aren’t behaving normally, it all points in one direction: External Taste-Testing Team. I didn’t have to look any further than my own home for three willing taste-testers and they all labelled the end product as “delicious”. 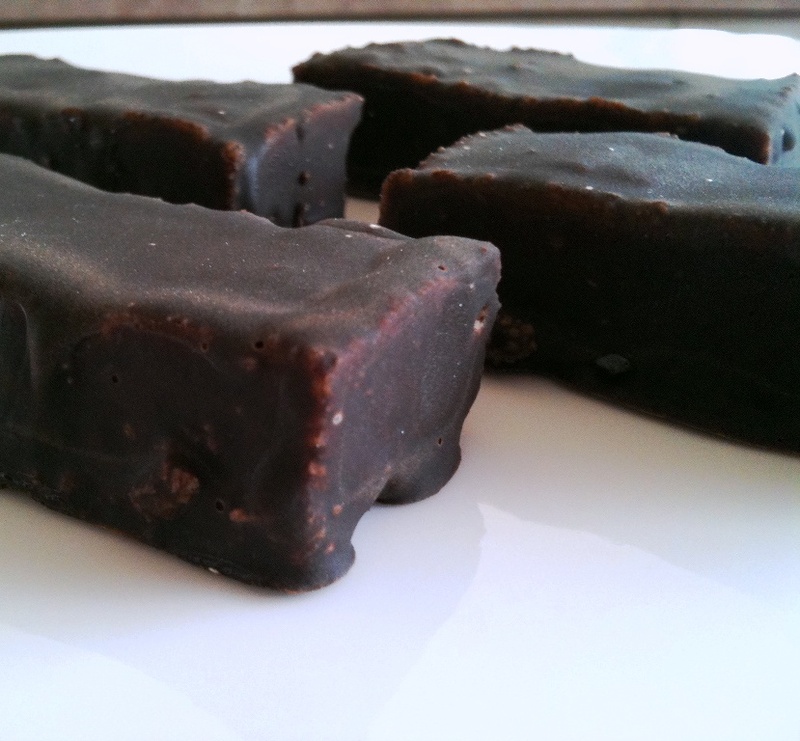 Recipe #124: Raw Chococo Bars. Makes at least 15 small bars / 30 cubes. In terms of special equipment, you will need a food processor, good quality blender or Thermomix [TM] to make this magic happen. You will also need at least one 20cm x 20cm baking tray and a large plate/cookie tray covered with baking paper. Start by liquefying the coconut oil [TM: set to 37°C and speed 3 for 3 minutes — or you could melt the coconut oil over a double boiler], then process this together with around half of the coconut as well as the honey, agave syrup, salt and vanilla until it formed a coarse paste [TM: speed 6-7 for 30-60 seconds, scraping down the sides every 10 seconds]. Stir through the remaining coconut [TM: reverse, speed 5 for 30 seconds, using a spatula to scrape down the sides every 7-10 seconds] until well combined. Press the mixture into an even layer in the cake tin, score the surface gently with a pizza wheel [optional step: to encourage more chocolate to stick to the surface], then place the tin in the freezer for about an hour to chill. 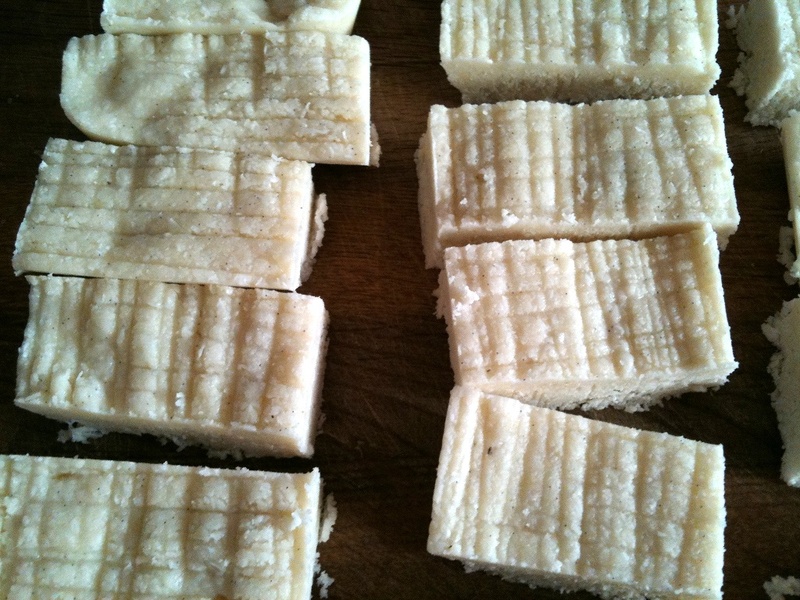 Next step: CAREFULLY turn out the mixture and cut it into bar shapes with a very sharp knife. [I say CAREFULLY because I was a little gung ho my first time around and ended up with a crumbled mess that I had to re-melt and re-set. This is why you had no blog post on Sunday :)]. Place the bars back into the freezer to chill out for another hour or so. This step is important. 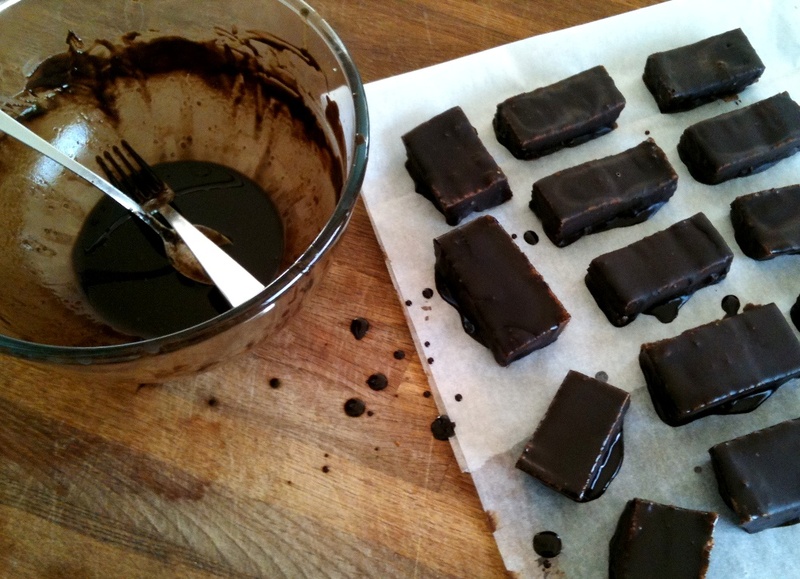 Because you will be coating the bars with chocolate, you don’t want the coconut oil to melt into the chocolate = dripping, horrid sludge of a mess (though still very delicious, I am sure). Prepare your chocolate and place it in a large bowl. Remove the bars from the freezer. Coat the bars very quickly one at a time, using a long spoon and a fork; allow excess chocolate to drip off the bar, as this will give you a neater finish. It’s not a problem if you do end up with a foot around each bar; just cut the excess from the bottom of the bar with a hot, sharp knife (heated under hot water then wiped dry immediately before use). Place each bar onto the baking paper and, when all bars are finished, return these to the refrigerator or freezer for at least 10 minutes. Serve, eat, enjoy. Just remember that this is chocolate that will melt in your hand. As well as these bars turned out, I think they would benefit from another round of freezing and a second chocolate coating. I also don’t think my choice of sweetener was correct. More experimentation is definitely needed but I am happy enough for now. Let me know what you think! If you are interested in coming along to my ‘Christmas Uncooked’ class, please contact me [link defunct] to let me know of your interest. The class will run from 6-9pm on Wednesday 14 December; cost: $120 [venue TBA]. 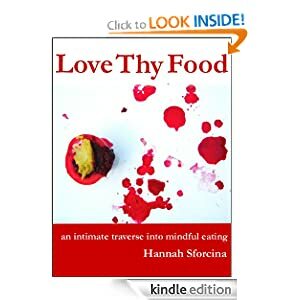 This recipe may or may not feature in the class; I will be experimenting with a raw version of Cherry Ripe as soon as my order of organic cherries arrives. Yum, yum. I totally agree with you, Ayden. It’s the best, isn’t it? If it has coconut, it has to be good! I wish the fresh coconuts that we get here in the aussieland were fresher. I’m sure it would be perfect for your recipe! Thanks for your comments, Josey & Justine. Priscila, I think you’re onto something. Using fresh coconut flesh would absolutely ensure a raw end product, and it would have a natural moistness that this version lacks. Yummmm! Definitely on my to-do list. They look great too. Definitely yummy, and they store for ages when frozen or refrigerated. Let me know when you try them!